I *heart* ♥ Lightroom 2.2. Seriously, Adobe’s Lightroom gives me flexibility Photoshop and Bridge never did. Take the above image for example – originally a cast-off for me (most of my Icelandic pictures were because I underexposed my whole trip “DOI”). But I decided to scroll through my Lightroom catalogue and just run some basic funky presets I’ve been picking up and BAM! It just popped. I could barely see the flag before and now it’s tall and dramatic and colourful and blue… Anyways – I’m happy and I plan on going through the trip photos again just to be sure I didn’t miss any other gems. Another reason to ALWAYS shoot in RAW – there’s no way I’d save a JPG that was a stop or two underexposed – shot with a rebel XT. If your Camera supports it shoot in Camera RAW, even if you don’t think you need it yet. For those interested in seeing the original exposure – it’s here. Posted on Tuesday, December 23rd, 2008 at 12:00 am. 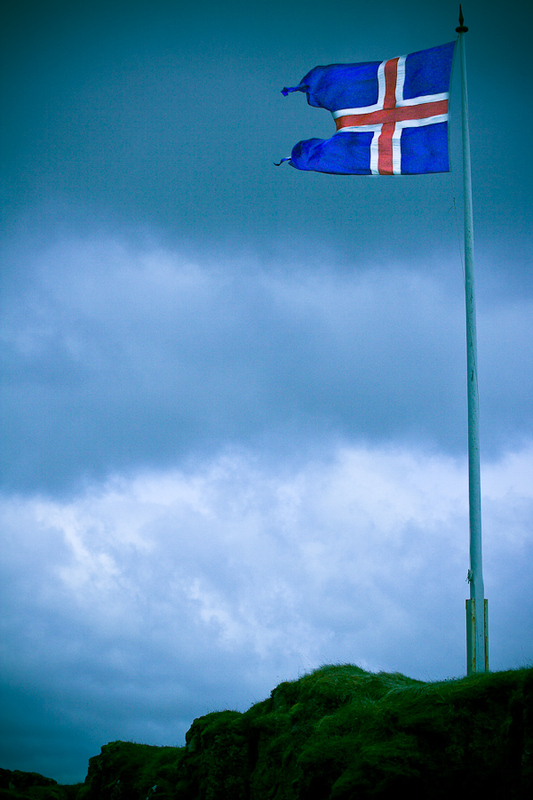 Filed under: Iceland Tags: Flag, Iceland	RSS 2.0 feed.